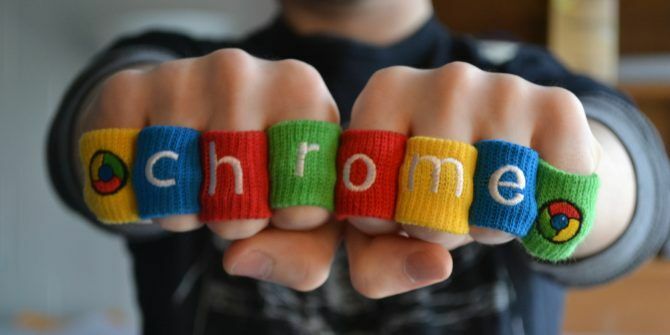 Google has announced the date when its Chrome web browser will start blocking ads. And it is February 15, 2018. This is slap-bang between the dates when Chrome 64 (Jan 23rd) and Chrome 65 (March 6th) are due to be released. Think of it as a late Christmas gift from Uncle Google. In April 2017 we heard the first rumblings that Google was preparing to incorporate an ad-blocker into Chrome Google Chrome Could Soon Start Blocking Ads Google Chrome Could Soon Start Blocking Ads Google is considering adding an ad-blocker to Chrome. The built-in ad-blocker would likely filter out bad ads, letting those that meet a certain standard through. Read More . Details were thin on the ground, but by July Google was actively testing the aforementioned ad-blocker in Chrome Canary How to Test Google Chrome's Experimental Ad-Blocker How to Test Google Chrome's Experimental Ad-Blocker Google is currently testing an ad-blocker baked right into Chrome. And assuming you're willing to install an unstable version of Google Chrome you can test it out for yourself right now. Read More , the experimental version of the web browser. Now, Google has announced that Chrome will start blocking ads on February 15, 2018. However, as anyone who has been paying attention will already know, Chrome won’t block all ads on all sites. Instead, Chrome will block the worst kinds of ads guaranteed to annoy everyone. According to the Coalition for Better Ads’ Better Ads Standards, which Google has now signed up to support, this includes pop-up ads, auto-playing video ads with sound, prestitial ads with countdown, flashing animated ads, full-screen scroll-over ads, and large sticky ads. In order to punish the websites serving these types of ads, Google will block all ads on sites considered to be “failing” for more than 30 days. They will then need to kill the offending ads and submit their site for review before Chrome starts showing ads again. Harsh but fair. These types of ads can prompt people to install third-party ad-blockers. And ad-blockers are killing websites’ main source of income AdBlock, NoScript & Ghostery - The Trifecta Of Evil AdBlock, NoScript & Ghostery - The Trifecta Of Evil Over the past few months, I've been contacted by a good number of readers who have had problems downloading our guides, or why they can't see the login buttons or comments not loading; and in... Read More . By endeavoring to only block the worst kinds of ads, Google could dissuade people from installing ad-blockers and save sites from financial ruin. It should go without saying that Google has a vested interest in all of this. Because selling ads is still Google’s primary business concern. However, Chrome’s native ad-blocker could help users, websites, and Google without inconveniencing anyone but those unwilling to abide by the new rules. And evil third-party ad-blockers, of course. Which is a win-win-win in my book. What do you think of Chrome’s new ad-blocker? Are you looking forward to seeing less annoying ads? Would you be willing to stop using a third-party ad-blocker if the most intrusive and unwanted ads became a thing of the past? Please let us know in the comments below! Blocking ads?...doesn't this violate net neutrality principles? I hit something on my roku remote ages ago, and now when I’m watching a program on Netflix, it takes a while for the title to show up when I pause. It used to happen instantly. How can I fix this? This sounds like good news to me! Being an Adsense publisher on my websites myself, I can only applaud this step! It is indeed a big problem these days, since ads are my main source of income, and people are more and more installing ad-blockers, which kill all ads, and thus our income. Setting up standards guidelines, and blocking only ads that are out of bounds sounds like a great plan to me! Even though there are some flaws in this, and it will need some finetuning most probably (or even heavy tuning, for that matter). How will google determine what is an add or what is news ? Why we have concepts like freedom of the press and speech! Freedoms have an end point. So many websites use ad providers, I think it's unfair to punish them instead of the provider itself. 30 days are a lot of time for a website that only barely keeps itself afloat by displaying ads.